Aiden has reviewed the toy catalog and has decided that the only toy he wants this year is a battery powered Jeep. He would love to drive him and his sibling around the backyard. 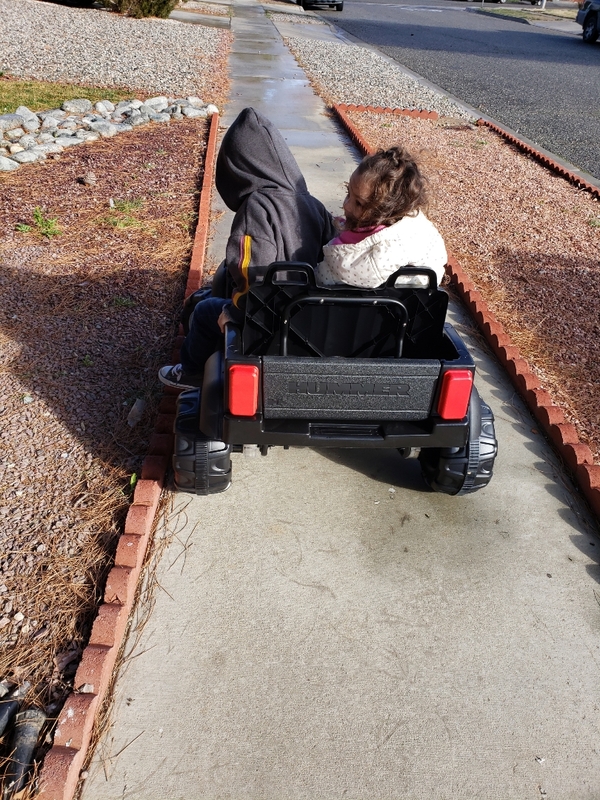 He has never known the excitement of his very own car and seeing him look at the picture, while beaming with joy, is one of the happiest we have seen him. Aiden is an adorable little boy who loves to run everywhere. He has been making gains on his activity level as he has learned not to run in the parking lot. He recently saw a child running in the parking lot and chose not to run. He loves toy cars and constantly plays with the few he has. He loves nearly everyone and is always the first to give out a huge hug. Greater Hope Foundation requests this wish for Aiden. Anonymous grants the wish for Aiden! Thanks Anonymous. One Simple Wish sends the gift to the Greater Hope Foundation for Aiden. Greater Hope Foundation receives the wish! Aiden receives the gift from Greater Hope Foundation ! "Thank you so much for fulfilling Aiden's wish! He is so excited! We will send pictures soon!" Helena sent an update on the wish for Aiden. "Aiden will receive the item tomorrow. He will be so excited. It is larger than anticipated, thus Aiden and his sibling can ride the jeep together. " "Please see the picture of Aiden riding with his sister." Want to Help Children Like Aiden?